Notes: Common in broad-leaved woodland, parks and gardens throughout much of the British Isles. 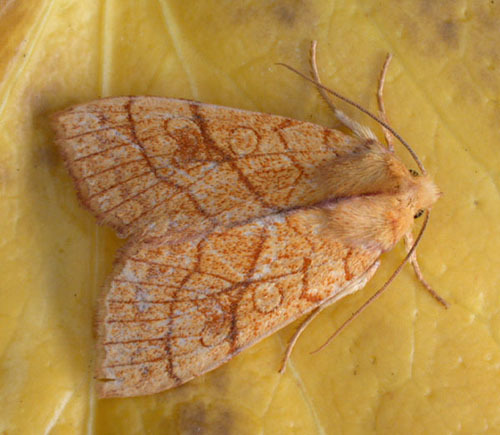 In Hampshire and on the Isle of Wight probably occurs wherever there are mature stands of lime, and hence mainly a suburban moth. 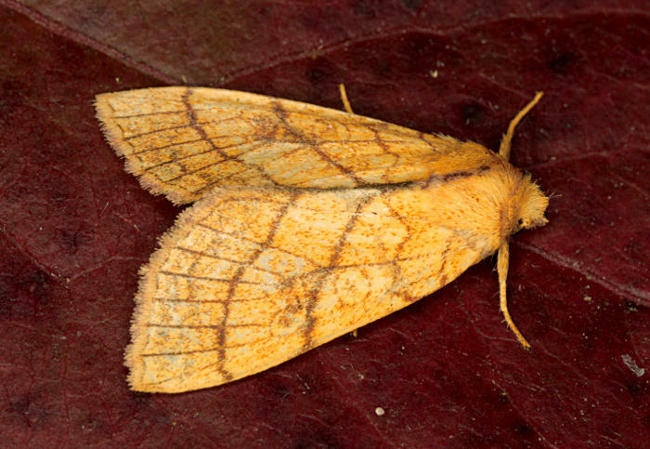 Infrequently recorded at light, it can be best found by searching for larvae in late spring or sugaring the foliage of limes in autumn to attract the adult. Wingspan 33-38 mm. Larva feeds on Common Lime, Small-leaved Lime and Large-leaved Lime, over-wintering as an egg.